WATAMOTE – No Matter How I Look at It, It’s You Guys’ Fault I’m Not Popular! 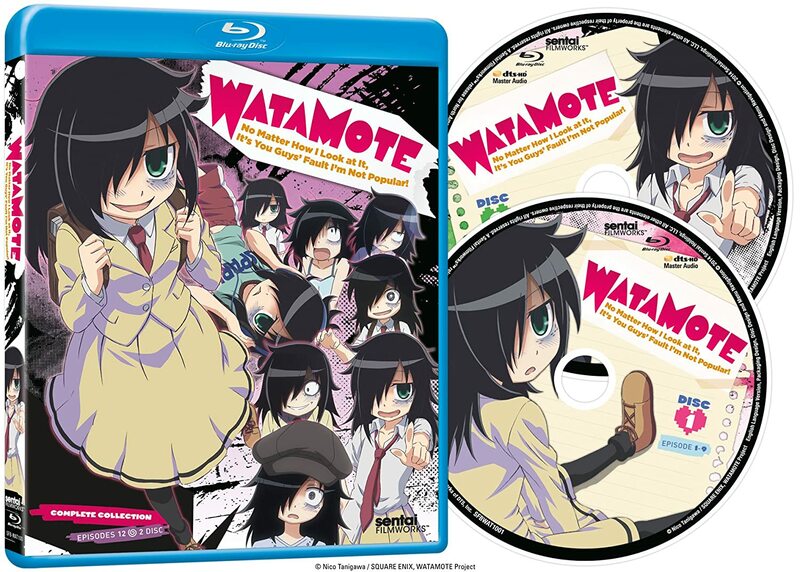 is now how the official English title of Watamote -Watashi ga Motenai no wa dou Kangaetemo Omaera ga Warui!-. Sentai Filmworks is releasing the Blu-ray Disc and DVD versions on 26th August 2014, but you can already preorder them via RightStuf. Before getting this position as a director, Emily Neves has worked as a dub actress on many shows.Her roles include: UN-GO‘s Inga, Upotte!’s SG550, Devil Survivor 2: The Animation‘s Hibiki and Angel Beats!’s Kanade Tachibana. Her previous directing experience is for Chuunibyou demo Koi ga Shitai! I wonder who will get a bit poorer in August or are you emptying your pockets now? Junjou Romantica Season 3 Announced!